If you’re running any kind of website or even just looking into running one, you’ve probably done a bit of research. Maybe you’ve looked into ways to backup your website. Perhaps you’ve looked into what kind of web hosting you need, and how much security should you have, and so on. You’ve probably also looked into monitoring your web traffic, to see how successful your site is doing. Google Analytics is the perfect tool to help you monitor and manage your website. It has a lot of great features that make doing such a thing snappy and a breeze. Let’s go over some of the reasons why you should use Google Analytics if you aren’t doing so already. This is by far the most important, obvious reason to use Google Analytics. The platform offers easily understandable data about nearly every facet of your website, and one of the most important facets of all this number-crunching is how many visitors to your website you actually get a month. How many people come? How many stay longer than five minutes? Do you have people regularly returning, and can you figure out why so you can get more? Google Analytics will help you answer all of these questions. This one is a no brainer right here. Despite the fact that Google Analytics offers so much, it costs absolutely nothing to use. There are no hidden fees, it’s not behind some sort of paywall, and it’s certainly not locked behind a subscription. You merely have to sign up and start using the service, and see everything that it offers you. It will be easier if you have assistance with setting your site up for it, which you can pay for, but it is free if you want to do it yourself. In addition, once your site has been set up properly and you can begin accessing the data, you can really tweak and tune things to get all the information that you want or need. To generate reports, you need code; using someone to help you with this matter is a good idea. Digital Z is a good example of someone to assist you in this matter of setting up the code so you can receive these custom reports. Some examples of the kind of data you can receive with these custom reports are in the other reasons in this post. One of the most important ways to increase your SEO is using the proper keywords in your content, whether they’re blog posts, articles, how-to’s, etc. Keywords increase your traffic and Google will promote your website over others for actually being relevant and containing things that the user is searching for and looking for. You can use Google Analytics to see this data and apply it to your website in order to improve it and, hopefully, get more traffic out of it. This is another example of a useful feature that Google Analytics offers you that can really help you in determining the data of your website, what is and isn’t working, etc. What this does is it allows you to see what exactly people are searching for in your website’s search bar. This lets you know many, many different things. Just for example, you can try and identify what people search for the most, and whether they find it or not. If they don’t, you could consider adding something that will give them the results that they’re looking for on your site. It’s just another powerful way to both see the data of your site, and then use that data to improve your website. 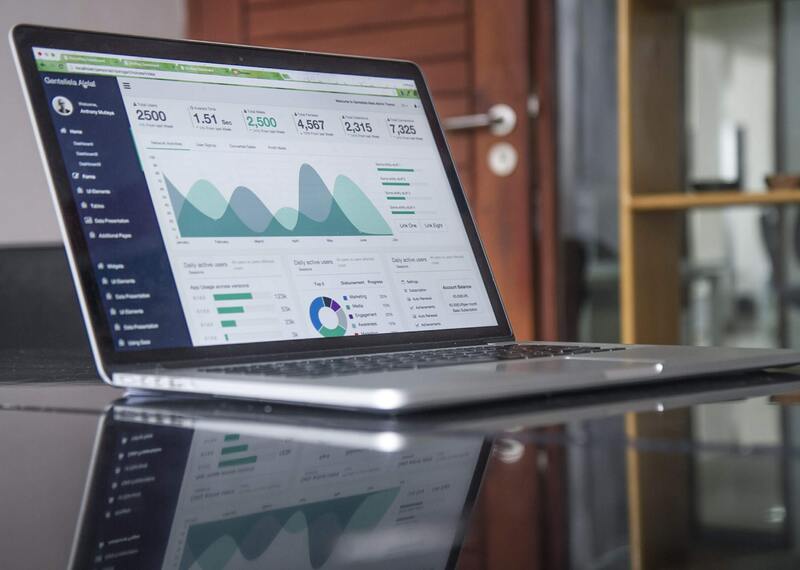 Google Analytics, if you choose to use it, has the large benefit of being designed to be very flexible and easy to use with other devices, tools, platforms, and more. Smartphones are a usable option, of course, as a way to review your data. So are tablets through the app on the Google Play Store. You can also connect it with Google Adwords to make Google Analytics an even more powerful, useful tool. It may seem like something unimportant, but the fact that Google Analytics is constantly being updated could only be considered a plus. Something like this shows how Google Analytics is constantly evolving and updating. This is good for you if you’re a user of Google Analytics, because it means that the platform you choose to align yourself with will be relevant and only growing stronger for years and years to come. You don’t need a computer science degree to run a website, and you don’t need one to use Google Analytics to see how your site is doing (though it might make things a tiny bit simpler for you, purely due to experience). The way Google Analytics presents its information and its controls makes it easy to understand what you need to do in order to get what you want. There’s not much confusion inherent in the process, and that’s indicative of good, intentional design decisions that came with the customer thought of as the highest priority. Google Analytics features a really impressive range of info on those who browse your site and visit it. You can review something as simple as just how many people are visiting your website every month (or longer, see below) but you can also go much deeper than that. You can review things like age, gender, interest, and more. This can help with you determining who makes up the biggest parts of your audience and what exactly it is that they’re looking for from you. This can, in the long run, make it much easier to improve your site for your intended audience. By default, Google Analytics shows you the traffic for the past thirty days of your site. You can extend this, however, and view traffic for different, extended periods of time. There are many benefits to doing this, but one of the largest and most important is that you can really see how substantial your growth is over time, and whether or not you’re really doing that well overall. It’s definitely one of the better features of Google Analytics, and a good reason to use it. If you had to pick one thing that was the most important, it just might be this. This is a very, very, very underrated feature, and certainly the best one on the list if you’re running any kind of online business. It’s undeniably great to be able to tell exactly why someone left your site, at what time, how long they stayed, and so on. It lets you figure out where the problem is and where to fix it, and that’s incredibly useful. These are some of the ten best reasons to use Google Analytics. There are plenty more, but these are the biggest and most prominent that you’ll come across. Information can be everything when doing something like running a website, after all, so check it out and use it if you haven’t yet. You won’t regret it.